We Indians are an ancient people; extremely old and weary. I often sense our race’s natural sense of a great burden of age within myself. When I examine myself with attention I see only doubts and lethargy and aloofness there. A sort of extended holiday within and without. As if we have finished all our official work at the dawn of creation and can engage in resting without a care in the world behind closed doors, when everyone else is working away in the midday heat; as if we have earned our salaries, resigned from our jobs and are now existing solely on our pensions. This is what satisfies us. But suddenly we find that the times have changed. The safe haven that we had long believed to be ours is taken away by the leaders of the new order because we failed to prove our rights to it. Suddenly we are rendered poor. We must now work hard like the farmers of the world and pay our dues. An ancient race must suddenly learn to try anew. Therefore I say to you, put aside your worries, your rest, your love for the corners of your homes; it will not do to occupy your time with grammar, logic and the scriptures and the routines of daily existence; forge this hard earth and make it yield its riches, pay your dues to the new order; go to college, eat out at hotels and take to working in offices. Alas, who could have brought down the fortress like walls of India and brought us out into this vast open arena of activity! We had put up mental barriers and stemmed the flow of time in order to have things just the way we liked them to be. Restless change has surrounded India like a great roaring ocean since time immemorial but we took comfort from immovable stagnation and forgot all about the existence of the world outside. But everything was shattered when that ever volatile outer world entered ours. Everything was shaken by the mingling of old with new, the collision of question with steadfast belief, the addition of unattainable dreams to complacent satisfaction. Imagine if the mountains and sea that surround us had been even more inhospitable; within that undiscovered remoteness our people would have attained a certain kind of insulated success. They would not know much of the world and have a very incomplete sense of geography. Only their poems, their social structures, their religion and philosophy would have a chance to flourish and flower; they would live as on a smaller planet separated from this earth; their own history and sciences, their own happiness and wealth would have sufficed for them. Much as silt isolates a part of the sea over time to create a lake of still water which reflects the myriad colours of the sky at dawn and dusk and meditates on the inscrutable by soft starlight in the darkness of night. This entry was posted on December 27, 2017, in Rabindranath Tagore's essays and tagged নূতন ও পুরাতন, Social Commentary. It is often seen that Sanskrit words that are transferred into Bengali express a warped sense of the original meaning; they take on a low, uncivilized form. There is a sense of the mind being affected in the word ‘Ghrina’. It can be used as a synonym for the English words aversion, indignation and contempt. But say the word ‘Ghenna’ and immediately one imagines a malodor invading the nose, an ugly scene unfolding before the eyes and a dirty object being placed near one’s body. There is a pure, generous sense of giving in the Sanskrit word ‘Preeti’, which is sadly lacking in the Bengali ‘Piriti’. I feel ashamed to even use the colloquial Bengali words for ‘Swami’ and ‘Stree’. This will become clear if one compares the Sanskrit ‘Bhorta’ to its Bengali form. I think that the amount of feeling conveyed through the Sanskrit word ‘Lojja’ is greater than that expressed by the Bengali ‘Lojja’. 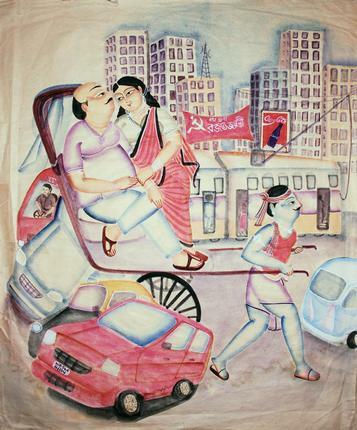 ‘Lojja’ or shame in Bengali is merely a mechanical response, rather than being synonymous with modesty. There is no ‘Hri’ or bashfulness. There is a link between ‘Lojja’ and ‘Shree’ which is missing in Bengali. When there is an instinctive eye for beauty, it is accompanied by a fitting sense of balance in behavior, customs, manner, language, voice and clothing. In Bengali, ‘Lojja’ is something completely separate, it tends to destroy the balance between custom and its application and is overdone to the point of ruining beauty. It is not attained by a gentle unity of body and soul but is more of a purely physical expression. It is rumoured that Vidyasagar once said that if a hoolock gibbon was to make an idol of Shiva, it would end up fashioning a monkey; the soil of Bengal has a tendency to lend itself to the making of monkeys. It is frequently seen that the aim was to create a Shiva and the result is the creation of a simian. One only has to see what happened to the broadminded religion of love known as Vaishnavism in Bengal over time. Just as there is a need of tremendous mental strength to give birth to a school of great thought, the same strength is essential for its survival. Where sloth and lethargy are part of the culture, great thought soon becomes stunted. There is no effort devoted to its understanding, its maintenance and infusing life into it. Everything is reduced to a form of slang in our part of the world. I sometimes fear that the great philosophy and teachings of the British will be reduced gradually to a vernacular form in this country. I have seen how many songs become baser in Bengal. I feel that the tunes that are established in civilized countries have a depth to them that allow these to become the national air and express their nationalistic spirit; such as Home Sweet Home and Auld Lang Syne. What do we have in Bengal that has the same ring? The common tunes popular here have no depth or permanence. That is why none of them can be described as national airs. The beauty of the Hindusthani ragas such as Khamaj, Jhinjhit and Kafi is reduced to simple rough tunes such as ‘I am shamed much to go there’ and ‘Tell me why my moonfaced maiden’. It is not just that; sometimes we feel this division into polite and crude in the difference between Hindusthani and Bengali pronunciation. It is apparent as soon as one tries to break a Hindusthani song into Bengali. Even after retaining the tune and the beat the song sounds very ‘Rotho’. The polite ‘Aa’ of Hindusthani becomes the vulgar ‘Aw’ of Bengali and forces the transformation. The sound ‘Aa’ has a suggestion of detachment while ‘Aw’ merely sounds impoverished and narrow minded. Listening to the Sanskrit spoken in Kashi will make this understanding clear. I have used the word ‘Rotho’ in the paragraph above in an attempt to say ‘commonplace’. But I felt reluctance to use the word. There are rustic common sounds in all languages. But I have noticed that in Bengali, words that express certain feelings are nothing but rustic. They express the meaning much as a picture does but also convey a meaning that is not quite palatable. One has to say ‘Muchke hashi’ or ‘sneaky smile’ to convey the meaning of ‘Ishodhashyo’ or slight smile in Sanskrit. But the phrase ‘sneaky smile’ awakens a mental picture that is not of a pure smile and certainly not a slight smile. The word ‘peep’ is ‘unkimara’ in Bengali; the word ‘creep’ is ‘gnurimara’. But these two Bengali words are not worthy of using in all situations even though they paint a vivid picture of peeping and creeping as they also seem to imbue these pictures with a vulgar touch that are at odds with their use in any polite accounts. The Hindi speakers and the Muslims have certain etiquette of behaviour. 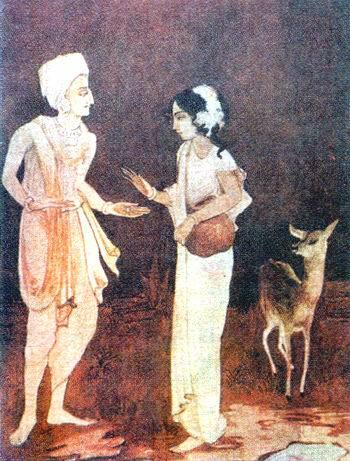 The fact that a serving man of either persuasion greets his employer with a ‘Namaste’ or a ‘Salaam’ when seeing him for the first time in a day is not because he has more servility in his heart than a Bengali servant does, but because they are conscious and tireless in maintaining the intricacies of each relationship in polite society. They will be clean and well presented in the presence of their employer, they will wear proper dress, and they will be courteous. What we often think of as a spirit of freedom is in reality an expression of poor education and crudity. Often the British are dismissive of us when they see this uneducated and uncivilized side to us but we are secretly proud of having done a great deed by not according our masters the honour they deserve. This has resulted in a lack of polish and beauty in our day to day language and actions. We seem to be a common people who are hangers on, slack, unstable and dispensable; we serve no purpose on this earth nor do we add to its charms. When I think about the mystery that is language I feel astonished. The same Bengali language that helps to shed light today in the thousand corners of the minds of innumerable people and makes it easy for us to interact with and understand each other; if we were to follow its light into the past, where would we end up? Who were those wanderers, who struggled against all odds on the path of the unknown, the ones who first set out from a nameless home on a journey both long and filled with obstacles carrying the faint flame of the language that we now speak. That ancient flame has travelled, illuminating the way, from one age to another to arrive at the tip of my pen today carrying a message of kinship. Those earliest of travelers took varying routes across the branches created by sweeping changes in history and this has blurred the similarities between those white skinned blond haired strong forest dwellers and this brown skinned short lived city dwelling subject of England with the dust of the ages. The only similarity that remains is the ancient thread of an unbroken language. Occasionally there have been new threads added to this language, sometimes time has repaired stresses in the chain and at other times the touch of non-Aryan hands has removed it further from its Caucasian roots, but it has remained uninterrupted. This language still points its finger back at the distant west to a birthing place whose exact location is not known to anyone. The indigenous people of ancient India used to speak in a language that was divided into two major strands – Shourosheni and Magdhi. Shourosheni gave rise to the Hindi spoken in the Western parts of the country while Magdhi was the root of the Hindi spoken in eastern India. The other languages were Odri or Oriya and Gaudi or Bangla. There was no mention of Assamese. But in the latter part of ancient history, there are far more examples of Assamese prose than there are of Bengali. The language used in them is almost indistinguishable from Bengali. Magdhi is the older of the two. According to Hornley, Magdhi was the only language once in use. The language spread from the west to the east gradually. The second wave of language Shourosheni came into India and took over the west. Hornley was of the opinion that there were two influxes of Aryans into India. Even though their languages were similar in origin, there were some differences. Just as a river descends as many streams into many countries and reaches the sea as a number of branches, the ancient Magdhi travelled through the tongues of the Aryans and after many centuries today its rhythm moves the heart of Bengal and enriches its soul. Its flourish is not ever. It has spread wide and mingled its deep currents beyond the physical boundaries of the land to where it is now standing within the embrace of the world. When I think of how the ancient and yet fresh flow of language ties those times of yore and these times and unites the unknown souls of many lands with the newly awakened soul of Bengal, I am amazed. We use language so easily and yet it is not easy to know its inner secrets. The singular rules that connect language down the ages are both unchanging and also liable to be modified at each step of the way. This entry was posted on February 21, 2014, in Rabindranath Tagore's essays and tagged Bangla Bhasha, Rabindranath o Bangla Bhasha. I am talking about the ideal of true love and not about the merely adequate, ritualistic, domesticated love that is often seen within the confines of family life. Just existing in close proximity with another person as an extra appendage to them, rather like a sixth digit, is not all that love is meant to be. When two adhesive substances are pressed together to become as one, that is not love either. We often hear of intoxication being described as love. Ram and Shyam may have become like an ‘addiction’ to each other, a habit formed by both and the absence of one may even cause pain to the other through the disruption of routine. But this is not love. Many people think that to cling to the object of their affections, no matter how evil, cruel and unscrupulous they are, is the height of love. But it must be understood that one cannot submit to evil unless they are themselves plainly ignorant and of a weak nature. One has heard stories of slaves who blindly love their masters despite every kind of cruelty; a trait also seen in dogs. I cannot bring myself to honour such dog-like, unshakable loyalty, such slavish attachment as love. True love is no slave, it is devotion; it does not beg, it gives in exchange and in full measure. The ideal lover loves true beauty and greatness; he loves the embodiment of the ideals within his own heart. Whatever the object of such love, it is not the lover’s duty to blindly seek shelter at their feet. That is not love; that is rolling in mud. Once mud sticks to one’s feet, it is hard to get it off, no matter whether those feet belong to the purest of beings or the lowest of the low. True love makes itself companion to the ideal subject. This is why many think that prostrations in the dust are a sign of love. They do not know that although there is much that is similar between a slave and a devotee, there is one primary difference that distinguishes between the two; the devotee is free within his adoration, his devotion is unshackled. Similarly, true love is that which is accompanied by freedom. There is enslavement but only because the greatness of certain variations of that state is appreciated. True love submits where being enslaved brings glory and bows where there is merit in admitting fault. Love exists, not for the sake of merely loving, but for the sake of loving well. If that cannot be achieved, if love must learn to be oppressed by the mean and must suffer the death of good taste in the presence of ugliness, then I say, let love be gone. This entry was posted on February 14, 2014, in Rabindranath Tagore's essays and tagged Adarsh Prem, আদর্শ প্রেম, Ideal Love, Tagore essay on love.